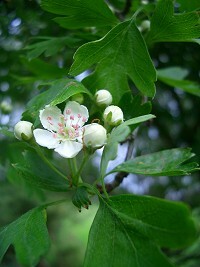 Common Hawthorn, sometimes called May, is a large, deciduous, thorny shrub. 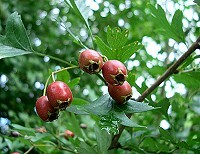 It is common in hedgerows and parks. 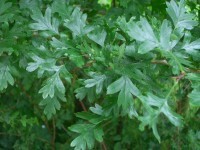 The leaves are small and glossy with deep lobes. 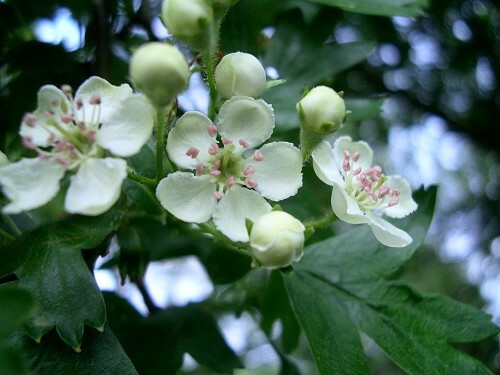 It bears clusters of white flowers in May and red berries, or haws, in September and October. 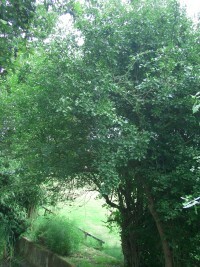 The wood is hard but not usually used as timber except for walking sticks. 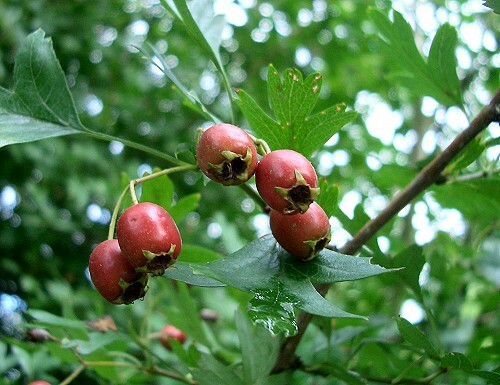 It makes very good firewood.